I grew up in Tucker, Georgia, near Stone Mountain State Park. I climbed that granite mountain countless times in the first 22 years of my life (and not since!). I used real pies for my team’s “pie graphs” in my senior college capstone business class—Chocolate Chess Pie and Buttermilk Pie! We won the simulation and got an A in the course—all due to the incredible smarts of my team mates, mind you! I eat bacon nearly everyday. Love bacon. And bake mine in the oven. It’s only one of the blissful benefits of living a low carb (Keto) lifestyle. I also love boiled peanuts. LOVE them! Served warm is best! For as long as I can remember, I’ve baked. And I absolutely loved making my kid’s birthday cakes and being “homeroom mom” and bringing class snacks. I remember making 50+ of these cookies for a field trip. I had a Christmas wedding—December 15, 1984—complete with poinsettias (saved a bit on the flower budget!). All the years our kids were growing up, I kept this laminated Family Circus cartoon in the area where our kids played to remind me of how swiftly time passes and of what’s truly important. Ahem... Not a clean house. Joe and I are a product of an arranged marriage. Joe’s mother Claudette was my girl’s club sponsor at Harding University and when I graduated, I wanted her to meet my mom and visa versa. So I got the two couples together for breakfast at Kings Inn in Searcy, Arkansas. Our mothers met, loved each other, and as we were getting up from breakfast that morning, Mom leaned over to Claudette and said, “I wish you had a son!” Claudette’s face lit and she whispered, “I do! I do have a son!” And that was that. Both of our moms are Home now, cheering us on in that great cloud of witnesses. And Joe and I are still going strong—32 years and counting. I never dreamed that I’d some day grow up to write novels. Much less that people would actually pay to read them. But being able to visit the places I've written about is an extra special blessing. Especially the Habsburg Palace in Vienna that's included in A Note Yet Unsung, the third and final standalone novel in the Belmont Mansion series. But one of the coolest things about writing so far? 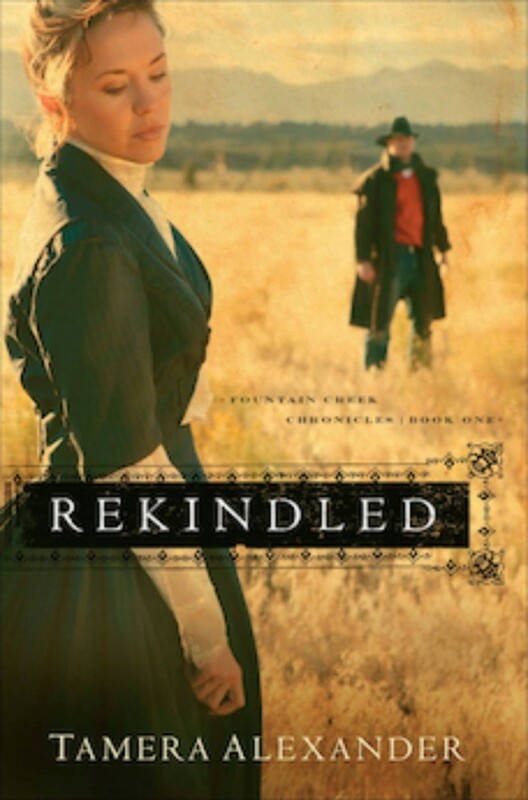 I dreamed the opening scene of my first published novel, Rekindled. I still remember waking up with that scene so vivid in my mind. Wish that would happen again! So which of these things do we have in common? Are we kindred spirits of boiled peanuts? Bacon? December weddings? Mountain climbing? I'd love to know. Tell me here. WATCH the Facebook LIVE event from my 2017 Idaho writing retreat with buddies Francine Rivers, Robin Lee Hatcher, Brandilyn Collins, Tricia Goyer, Karen Ball and more! Tamera shares about lessons God has taught her over the course of writing 16 novels.